Oh how I love the ferocity of Devi, its strength within storytelling that is clear and calm. 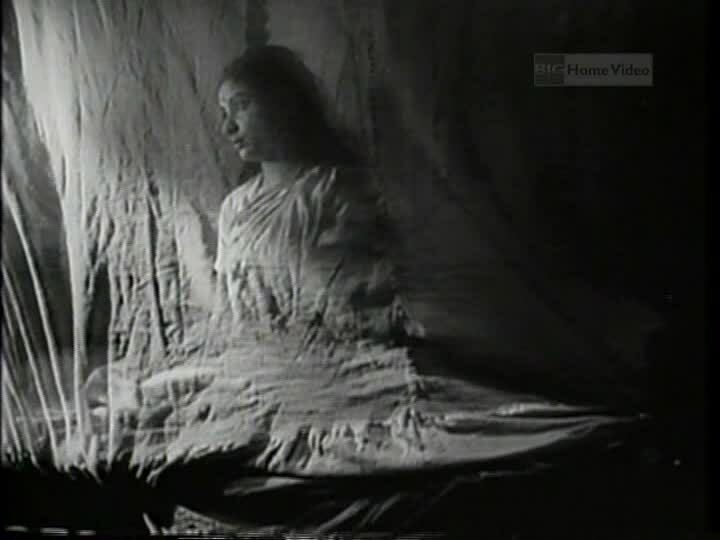 Even after making my way through roughly half of Satyajit Ray's filmography (as director), I'm still amazed by Devi. The critique of religion in Mahapurush, the political commentary in Hirak Rajar Deshe, the portrait of fading relevance in Jalsaghar—somehow none of these prepared me for the amount and deployment of skill in this film. The condemnation of religion and, I think, faith is perfectly clear, yet this seems a story that hates the sin but still loves the sinner, as it were. I loved the symbolism of the structure of the idol from pooja that opens the film with deafening, almost disorienting noise, now bare, desolate, abandoned, no longer useful. Extreme things happen but the people act, in their own ways, with reason and with great effort. When landlord Kalikinkar (Chhabi Biswas, whom I last saw in a similar role embodying sad, outdated values in Jalsaghar) has a dream that reveals his daughter-in-law Doyamoyee (Sharmila Tagore) to be an incarnation of the goddess Kali, his intention is to support and venerate this joyous miracle in the ways he knows how, carrying forward a lifetime of worship of Kali into an even more immediate scale. 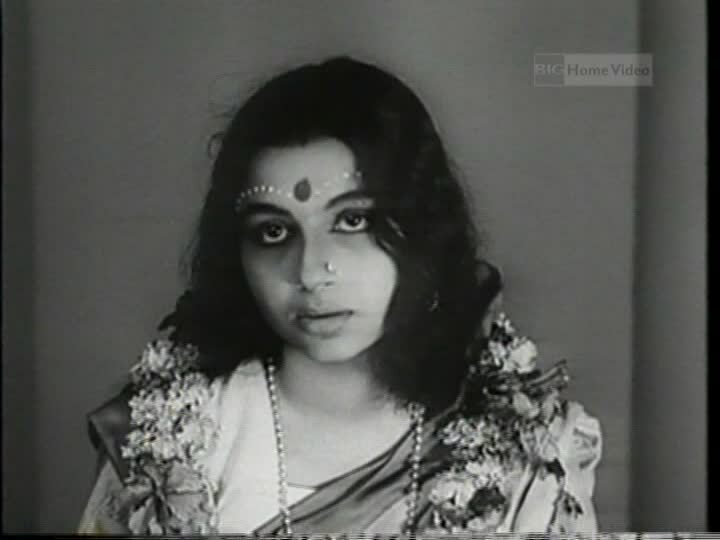 Doyamoyee, who is but seventeen years old (and Sharmila sixteen when this was filmed) and alone in her father-in-law's house while her husband is at university in Calcutta, is immediately overwhelmed by her new role and seems miserable in almost every frame of the film that follows, yet she cannot bear to take away whatever meaning this has for her father-in-law. The image below is her reaction to his revelation; she cannot face him, she cannot stand unsupported, and she scratches the wall in a gesture that reminds me of a needle skidding across a record, destroying the path it was supposed to be following as it goes, in addition to a desperate clawing to escape confinement. Her husband Umaprasad (Soumitra Chatterjee) is so modern that he's more progressive than some current Indian film heroes I've met. It's not clear to me whether he's a flat-out atheist, but he certainly thinks his father's beliefs and actions are ridiculous and harmful. Yet he never forcibly removes Doyamoyee; he offers her escape, but when she expresses uncertainty about her situation [note from Editor Self: "situation" is an utterly insufficient word], he respects her opinion and assessment more than his own values and education—or at least enough to return with her back to his father's house. As many things as Umaprasad may accuse his father of, shouting at his father that he has turned his wife into a stone idol, Kalikinkar is not a villain. He is a human with deeply held beliefs that he thinks are blooming before his eyes. I almost wonder if having the goddess in his family is a parallel to his land, riches, and two sons, the elder of whom, Taraprasad (Purnendu Mukherjee), does whatever Kalikinkar tells him, including falling at the feet of the newly-named goddess. This is a particular type of fulfillment of a spiritual life that mirrors his worldly success and reinforces his role of local authority and center of activity and attention. Worshippers en route to see the new goddess. Kalikinkar is entirely sincere in his belief about Doyamoyee, but it cannot be denied that his mind was ripe ground, especially as his age distances him from modern ways and ideas and makes him increasingly dependent on Doyamoyee, who attends to him loyally in his life at home. It's as though he already saw her as a goddess because she treats him the way he thinks he ought to be treated, with compliance and quiet respect. 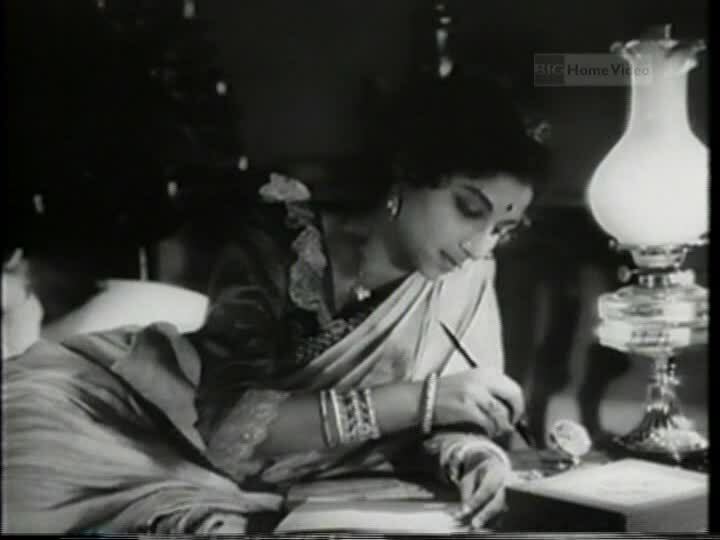 Circling this overview back to Doyamoyee herself, she seems as modern as Charulata, if perhaps more fettered since she has a father-in-law to look after and a nephew to dote on (and has no need to steal flirty moments with Soumitra in his matinee idol mustache [and eyeliner? ], since she's already married him and he's out of town). It's hard to say what Doyamoyee would have become had being the goddess not consumed her: Umaprasad teases her about having children, and she's clearly big-hearted, brimming over with affection for her nephew and the family bird (whom she turns to for closeness when the humans of the house either distance or prostrate themselves). The poignancy of Devi comes, for me, from all the failure and deficit that slowly destroy the characters. 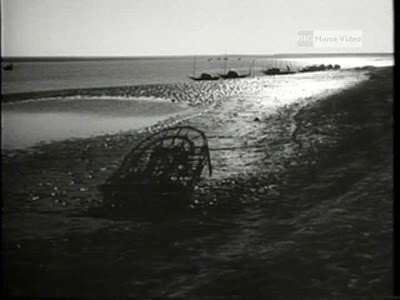 For example, Umaprasad seems to have a top-quality education and modern life in the city, but all his forward-minded values cannot quite trump his love of the actual person of Doyamoyee, and I think the loss of her is what he grieves, what leads to this wild despair in the film's final scene. All his abilities to argue in class or on behalf of a friend who has himself in a sort of social-ethical pickle (wanting to marry a widow) are powerless on his own father and even his wife, who seems to want so badly to believe him, and in fact made it plain at the onset that she neither is nor wants to be a goddess, but cannot (will not?) abandon her own questions about what she is experiencing. For that reason alone, perhaps it is right to read Doyamoyee as a very modern woman, one who may not know her own mind at every moment of her extraordinary life but is trying to trust herself to figure it out. Most of the writing about Devi I have found mentions that Doyamoyee eventually snaps under the grief for a sick child she, as the goddess, is unable to save, but I am more than ready to believe that she has simply been worn out by trying to process her own daily life with the physical, emotional, and intellectual strains of people venerating her, arguing over her, shunning her, and relying on her. For his part, Kalikinkar's faith is great for him but destroys almost everyone else around him, as Umaprasad rightly accuses. 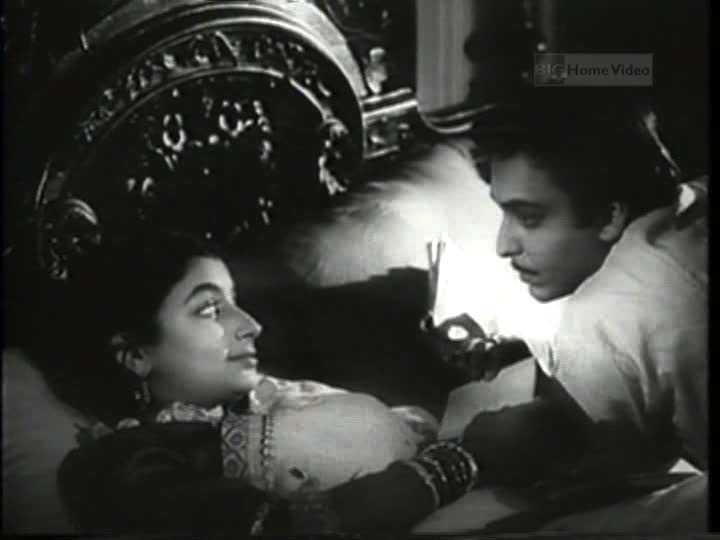 Taraprasad turns to alcohol to blunt the pain of the indignity of toadying to his father; Taraprasad's wife Harasundari (Karuna Banerjee, aka Mom of Apu!) is angered by what she sees as silly fawning over Doyamoyee and disgusted by her husband's sucking up; his younger son is increasingly driven away ideologically; his pet Doyamoyee goes mad; and his young grandson's life is risked when the goddess instead of a doctor is sought for a cure. 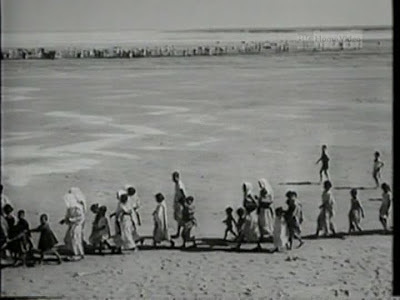 Of all the belief systems and attitudes towards faith and religion demonstrated by characters in this film, my own is closest to Umaprasad's, and I know that look on his face, that disbelief that people you love are acting in ways that seem to demonstrate willful ignoring of reason, in ways you cannot understand or respect. But like Umaprasad, I have tried to learn that the whole human package must come before any single aspect of the people themselves, no matter how grotesque and unwieldy that aspect has become. The critique of particular kinds of belief and of actions resulting from particular kinds of faith is very powerful, but for me the fundamental question of how to relate to people you disagree with or do not understand is likely going to be the feature of this film that will resonate most significantly over time. Two more quick asides. First, if you'd asked me a few months ago if I thought frilly lace would be much improved by adding a sari on top of it, I would have said no, but I really, really love these Victorian Bengali rich lady sari and blouse combinations. Second, Devi is mentioned in this Smithsonian Magazine article on films about faith. I read about Devi a while ago and have been wanting to see it since. 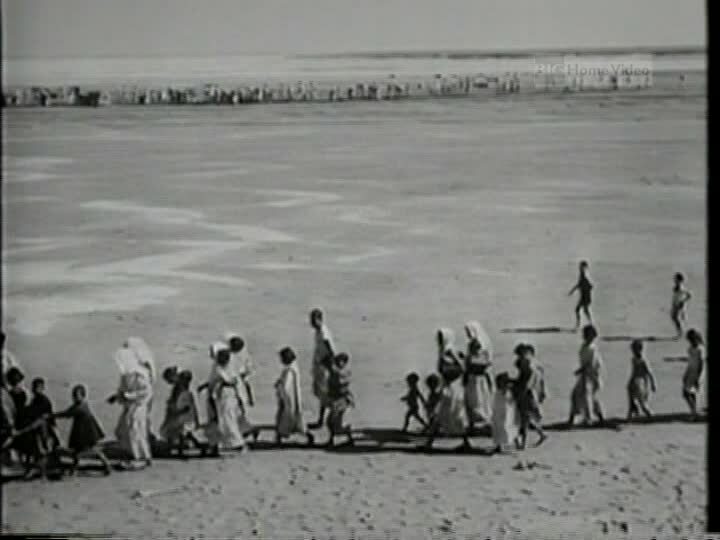 Satyajit Ray is someone whose movies one just can't miss and I want to see much more of his work than the three films I've seen (which by the way also triggered a slight obsession with Soumitra Chatterjee). 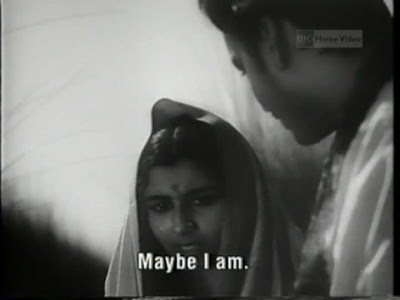 Did you watch the movie 'Sati' by Aparna Sen? Your review reminded me of this movie. I watched it for the 1st time when I was 15-16 years old and it haunted me for days. I haven't. Sounds like one to track down! BTW, I also thought that Doyamoyee is enraptured by her own myth till it is shattered by the death of the child. As an aside, the beautiful Shyamasangeet is written by Ray himself (E bar torey chinechi Ma). It was the first set of lyrics he wrote for his films. Later, of course, we had the bounteous GG-BB. Second, Uma is a feminine name: the Goddess of Dawn (Uma Thurman was named after the Goddess). So Umaprasad is what needs to be used for a guy. And, if you have not already, then do watch Parash Pathar. Though a farce, the underlying questions it asks are all too wicked. Pat - Oooh yes, I can see how that would work too. Thanks for your comments! I'm still tracking down Parash Pathar. Beth, another great one from you, superb circling and canvassing of the chasm! I loved the way you come back and forth in order to trap the essence of this beautiful film. You'll read, if you're interested (I've just seen it) that I've stepped on a slightly different path than yours, but the interest of reading your review is that it brings out the film's beauty even more. Very pics too, I wanted to say.